Society might not need any more lawyers, but a growing number of law schools are trying to turn out new ones faster than ever. 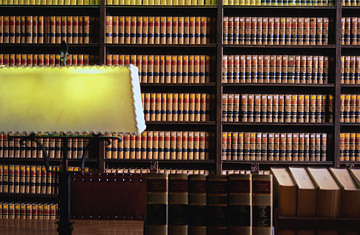 Northwestern University announced this summer that starting in May 2009, its law school will offer an accelerated J.D. program to be completed in two years instead of the traditional three. The Chicago school, which will continue to offer a three-year program as well, is not the first to let some students fast-track their legal education. The University of Dayton School of Law and Southwestern Law School, in Los Angeles, already have two-year express tracks. But as the first top-tier law school  ranked ninth in the country by U.S. News & World Report  to offer the program, Northwestern could be especially influential in getting other schools to embrace the idea. "This is a major change, not a minor thing," says Daniel Polsby, dean of George Mason University School of Law, in Arlington, Va. After teaching at Northwestern Law for 23 years, Polsby has asked his faculty to take a look at offering a similarly accelerated program and thinks other schools may follow suit. "The idea is generally a good one and there is going to be demand for it, but how much I don't know," he says. Northwestern decided to offer the accelerated program after conducting a nationwide two-year study in which focus-group participants were asked how its law school could be made more competitive with other top schools. The suggestions resulted in new required courses (on such subjects as accounting and leadership skills) as well as the launch of the two-year program. "Part of our thinking was to be competitive and open up a whole new market of applicants," says David Van Zandt, dean of Northwestern Law, which is vying for students with its prestigious neighbor, the University of Chicago School of Law. Northwestern's compressed program requires the same amount of credits as a traditional three-year program. But it squeezes them into five semesters instead of the usual six  the first one taking place during the summer before the start of the first law-school year. Applicants must have at least two years' post-undergraduate work experience, which is meant to attract older candidates who administrators believe will be better prepared to handle the grueling schedule. In addition to the heavier course load, the students get only one summer off  between their first and second years  in which to work and hopefully line up a post-graduation job. Less time on campus most likely won't mean a break on tuition. While Northwestern has not yet set the costs for its two-year program, administrators have hinted that fast-track students will be paying somewhere around the $128,016 that students shell out over the course of three years to get a J.D. "We generally charge by the degree rather than the time served," says Van Zandt. "The real savings will be the extra year of salary students make by getting out into the marketplace faster." That's around $150,000 and up for most Northwestern Law grads working as first-year associates at top law firms. The idea of a two-year law program is a response to critics who say the third year of law school is often pointless, since by that stage most law students already have jobs lined up and care more about socializing than getting good grades. Some schools have responded by offering more externships, study-abroad programs and legal clinics to give real-world experience during that third year. But even proponents of accelerated programs note that there are drawbacks. With only one summer to work, students don't have a lot of time to experiment or figure out the kind of legal career they want to pursue. And those who fall behind in classes don't have much time to catch up. "This is not for everybody," says Lisa Kloppenberg, dean of the University of Dayton School of Law, who has overseen the school's two-year program. "It's very intense." Critics question whether an expedited education will be a more efficient use of time and money for cash-strapped students or if it will churn out unprepared, inferior litigators with fewer job opportunities. "You want that other year because you will be a better lawyer for the next 50 years with that investment," says Geoffrey Stone, law professor at the University of Chicago. Indeed, the one clear winner in the accelerated approach may turn out to be the school. With its new two-year program, notes Stone, "Northwestern gets more tuition with less teaching."